Technocrats Horizons launches Ready To Deploy "Corporate Web Solutions" with Custom CMS to manage all content, images, forms and requests. 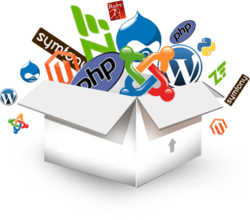 CMS also allows the flexibility to create unlimited pages and apply any designed template. Our company has achieved widespread recognition for providing Advertising Service to the clients. 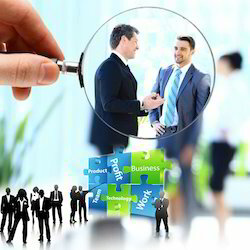 In order to provide this solution, our adept professional analyzes the different functions of the organization that the end-using company needs, regarding organizational structure. We are backed up with well experienced staff to deliver best services to our clients as per requirement. Web wing Technologies will help your articulate your organisation's ethos, aims, values and will differentiate your organisation from your competitors. But it's Values that are the key driver for the visual expression of the corporate identity. Young Associates helps you make your presence felt in the online market place in a big way with customized website design and development. Our team of professional developers has recommendable expertise in Website Design, Web Applications, Graphic Designing, Multimedia Services and Imaging Solutions. We support All enterprises, Private Firm, Small business company and help them in way to enhance their business process and work efficiently through our latest technology solutions." AlphtriX creative Services team designs & develops museum exhibits, custom applications, multiplayer games, and other interactive experiences. We have expertise in industrial design, hardware engineering, software development, content and media creation. Our Company provides the best Corporate website designing services in the industry.